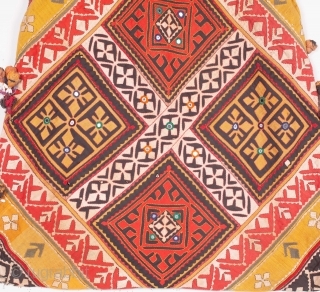 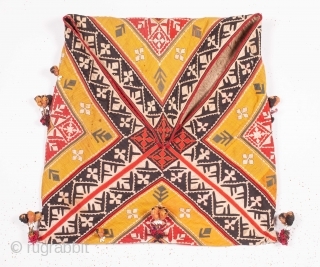 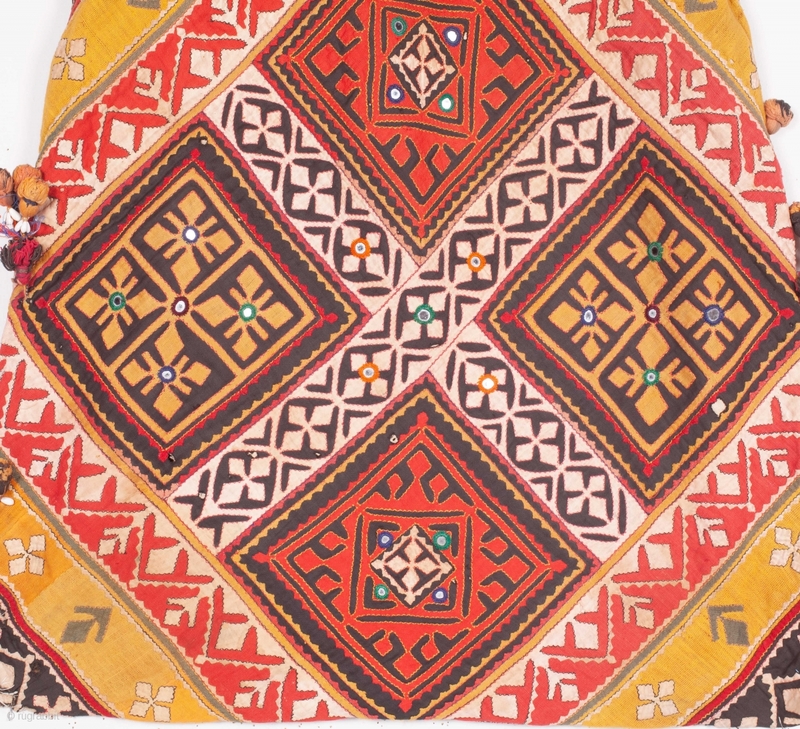 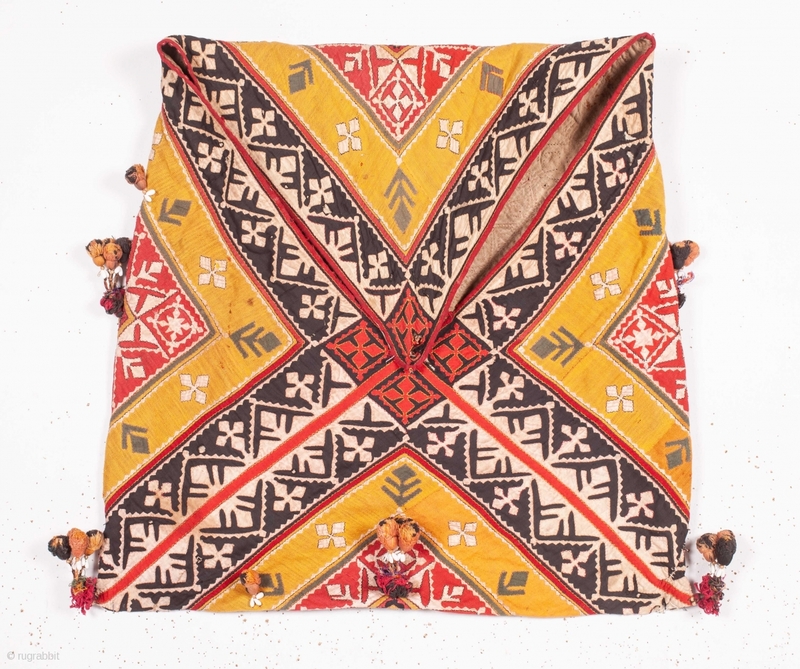 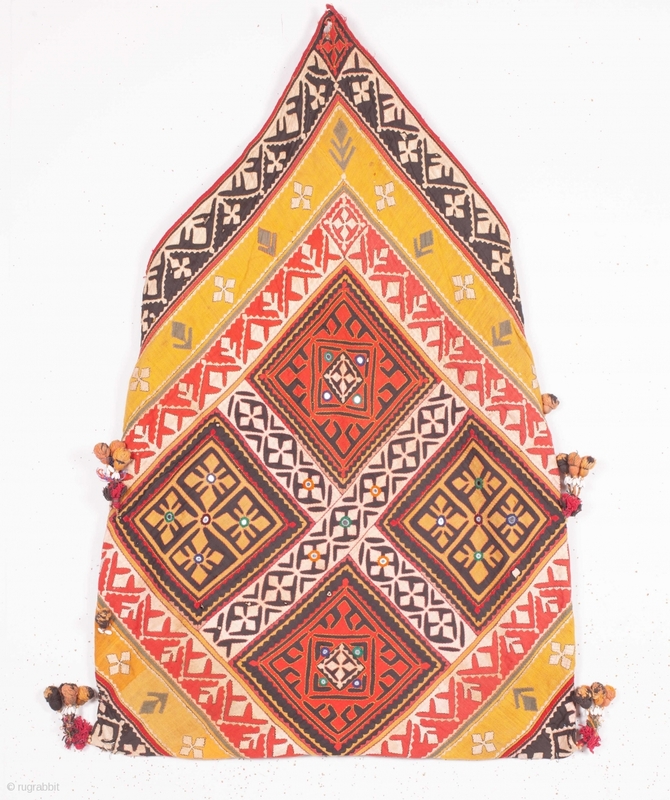 Dowry Bag (cotton) from Sindh Region of undivided India. 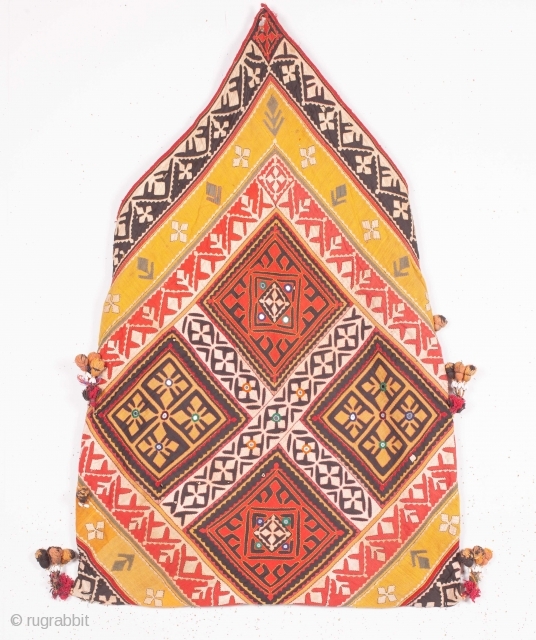 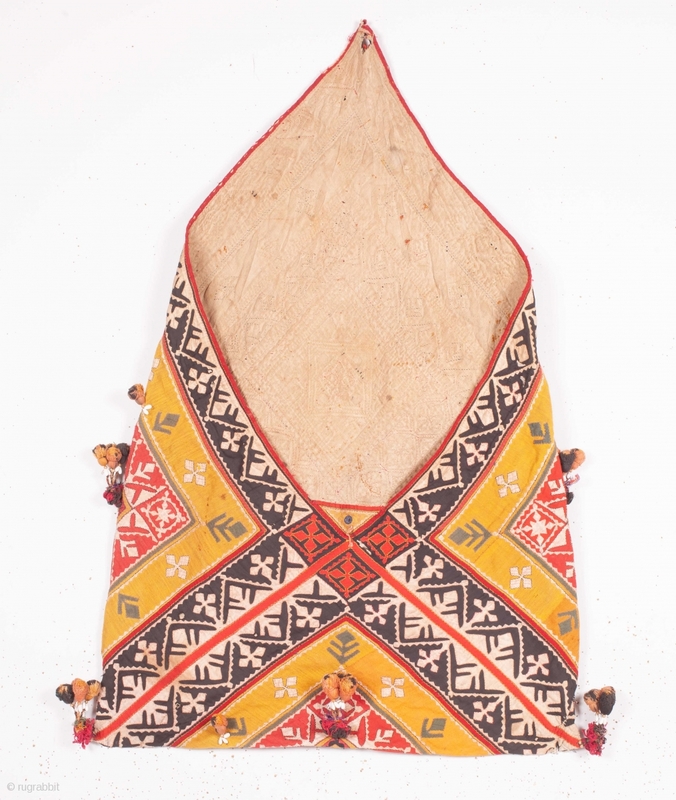 India.Applique cut-outs with mirrors and the tassels.C.1900.Its size is 58cmX88cm. 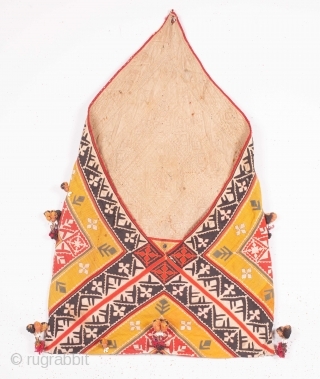 Rare Kind of Bag(IMG_5151).